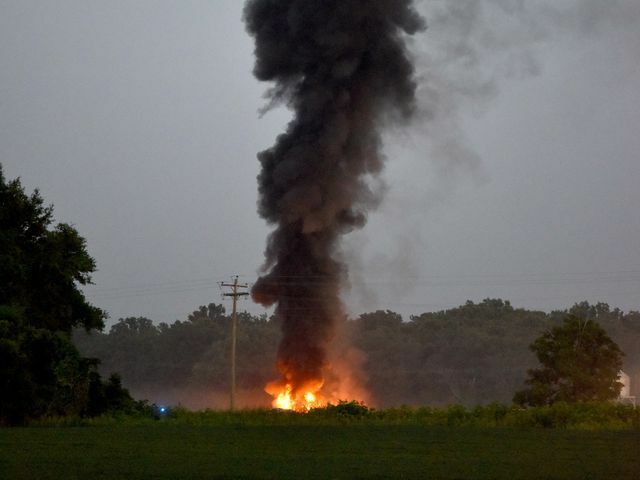 16 killed as US military plane crashes – Royal Times of Nigeria. No fewer than 16 marines were killed when a U.S. military plane crashed in rural Mississippi on Monday evening, a regional emergency management official said. The plane crashed into a soybean farm in northern Mississippi’s LeFlore County, about 100 miles (160 km) north of Jackson, the state capital.The Clarion-Ledger newspaper said debris of the crash spread about 5 kilometer radius. Several hours later, Fred Randle, LeFlore County director of emergency management, said 16 people had perished. “Most of them are gonna be Marines,” Sheriff Ricky Banks said. He could not confirm whether there were any civilians on the plane. A late-night briefing by Randle just before 11 p.m. Monday did not reveal any new details except to say people who are not responders should avoid the area because there is still flammable fuel on the scene. The incident was a “tragedy”, Mississippi Governor Phil Bryant said in a statement on social media site Facebook, but provided no details.